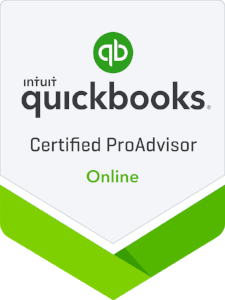 QuickBooks was designed to serve the needs of millions of small businesses. To do that, it had to include the tools and processes suitable for a wide variety of companies. But Intuit recognized that every organization is unique, so your copy of QuickBooks can be customized in ways that make it work best for you. You could just dive in and start adding records and transactions. But we recommend you do some setup first. If you don’t, you may run into some issues later, such as finding that some features you need haven’t been turned on, for example, or that QuickBooks is simply not doing some things the way you do. The good news is that you can change many of these. Getting There QuickBooks refers to these options as Preferences. You’ll find them by opening the Edit menu and selecting Preferences. Setting Up Reminders Let’s look closely at one set of Preferences: Reminders. It’s very important that you visit these screens when you begin using QuickBooks. Depending on how big your company is and how complex your accounting processes are, there may be things you need to do every day, like pay bills and follow up on overdue invoices. It would be nearly impossible for you to do everything on time if you didn’t ask QuickBooks to keep track of critical dates and remind you of them. Critical Areas We recommend that you look through all of QuickBooks’ Preferences and change any that don’t fit your company. Some simply have to do with the way QuickBooks displays information and how it functions, but others have direct impact on your accounting work. As always, we’re available if you have questions here. Open the Pay Bills, Open the Make Deposits, and Open the Create Paychecks?